NEW HANOVER COUNTY — Construction began last week on one acre of oyster reef and fish habitat meant to improve water quality and enhance recreational fishing in the Cape Fear River, the North Carolina Coastal Federation announced Wednesday. This acre will be the first of potentially 5 acres of artificial reef habitat at the site, and more restoration projects are planned in the future for the river and park. The North Carolina Coastal Federation, North Carolina Division of Marine Fisheries and Carolina Beach State Park are partnering on the project, which will be built just off the state park’s Cape Fear River shoreline. Materials for the project have been stockpiled at the marina, and they will be deployed on barges to the project site in November and December. This reef will be created using 3,500 tons of crushed, clean, recycled concrete. This project is a component of multiple plans and initiatives intended to increase oyster and fish habitat and improve water quality in the Cape Fear River and throughout the North Carolina coast. The Cape Fear River was once lined with extensive reefs, but it has experienced a severe decline in oyster population over the last several decades because of pollution, over-fishing, increased boat traffic, disease, sedimentation and loss of habitat. The river still has a high volume of floating oyster larvae, and this artificial reef will serve as a base to which larvae can attach and form new oyster reefs. 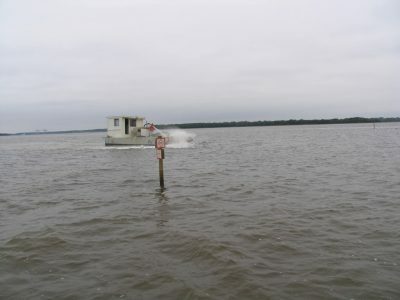 The federation in 2013 received a three-year, $90,000 grant from the Eddie and Jo Allison Smith Family Foundation to design and construct 1.25 acres of oyster reef to support the DMF’s work to increase oyster habitat and recreational fishing in the Cape Fear River. 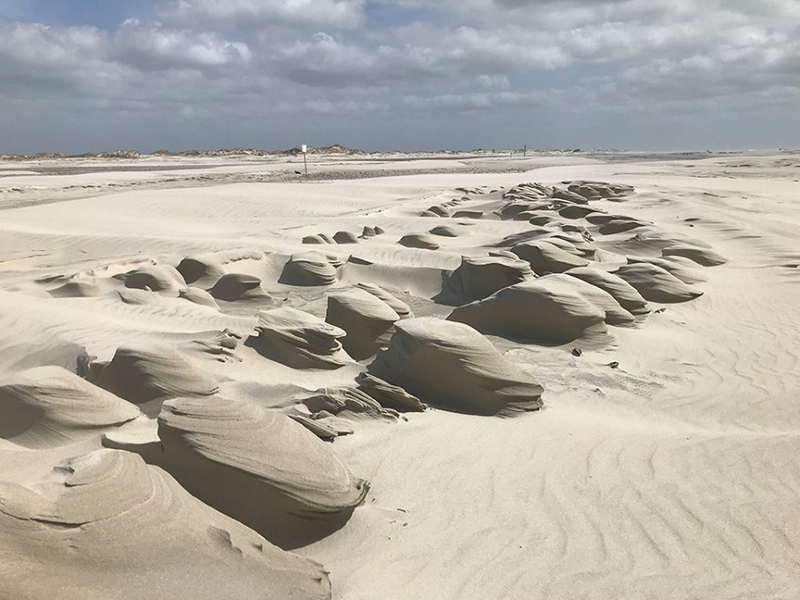 The federation started that oyster restoration work with a 200-foot living shoreline that included an oyster shell bag sill off the shores of Carolina Beach State Park. These oyster bags provide habitat for new oysters and other fish while decreasing erosion. This oyster restoration project is part of the larger Cape Fear Blueprint, which the federation is developing to restore the Cape Fear River through funding from the The Orton Foundation, an affiliate of The Moore Charitable Foundation. The goal of the blueprint is to improve the river and surrounding watershed’s overall health and water quality. This acre of reef habitat is also a component of the federation’s work through a National Oceanic and Atmospheric Administration’s Coastal Ecosystem Resiliency grant, as more feet of living shorelines will be added to the shores of the Cape Fear River in 2018. This restoration work is also related to efforts to mitigate the effects of chemicals released from the former Kerr-McGee Chemical Corp. site, which is now an Environmental Protection Agency Superfund site. In the 1970s and 1980s, the site was home to a creosote wood-treating operation, which polluted groundwater. The EPA and other agencies have been creating a plan to restore the site. In the future, the federation plans to continue restoration efforts off the shores and on the grounds of the park. It has worked with the park and Military Ocean Terminal at Sunny Point to restore five acres of benthic and saltmarsh habitat in an area just below the artificial reef being constructed by DMF. It also plans to restore 13.5 acres of tidal and salt marsh within the park. Oyster restoration is important for improving water quality and fish habitat. An adult oyster can filter up to 50 gallons of water per day. The federation has worked for more than a decade with DMF and other partners to create oyster reefs throughout the coast. It took the lead in developing a five-year blueprint for oyster restoration efforts in the state, titled the “Oyster Restoration and Protection Plan for North Carolina: A Blueprint for Action 2015-2020.” As part of its efforts, the federation last year launched the 50 Million Oyster Initiative, through which it aims to restore 50 acres of oyster reef by 2020. 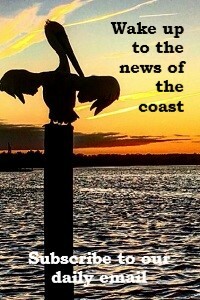 This acre of reef in the Cape Fear River will contribute to that goal.